Delfin English School was founded in 2005 with the objective to provide students with a quality English language learning experience, a fun and engaging atmosphere and great value for money. 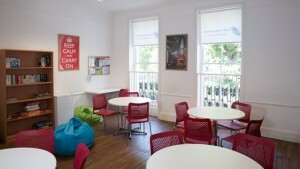 We now have schools in London and Dublin, and junior centres in London and Oxford. We focus on making sure we have talented and engaging teachers and a full, exciting social programme to guarantee that students have the best learning and living experience possible while they are studying at Delfin. Our courses include General, Intensive and Super Intensive General English, Business Communication Skills, Examination Preparation and 1-to-1 classes. We can also provide tailor-made courses for both adults and juniors, and students can even choose to study “dual-location” programmes.